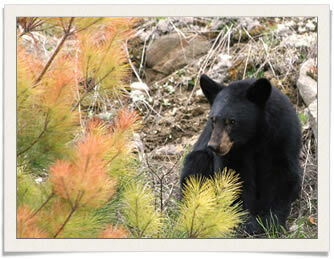 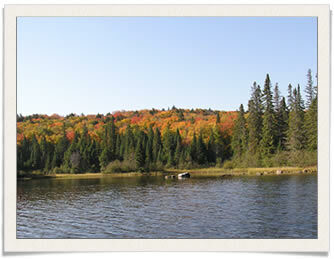 Algonquin is blessed with a vast interior of maple-treed hills, rocky ridges, and thousands of lakes. 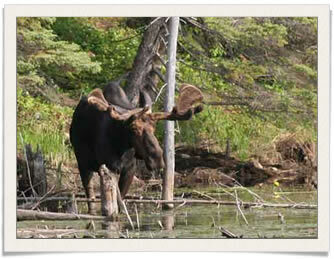 The only way to explore the interior of this park is by canoe or on foot. 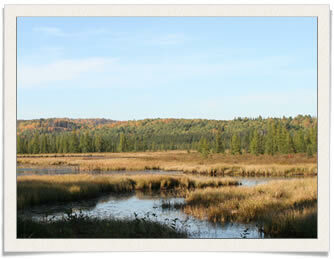 There is also a second Algonquin – along the 56 kilometer stretch of Highway 60 where visitors can enjoy camping, hiking, fishing, swimming, canoeing, cycling or viewing wildlife.